Swing traders need a basket of “goto” setups that can be applied to different markets. Two of my favorite are the breakout-remount and the breakout failure. Mr. Market, aka SPY, offered us a little of both a few days ago with a remount that failed. 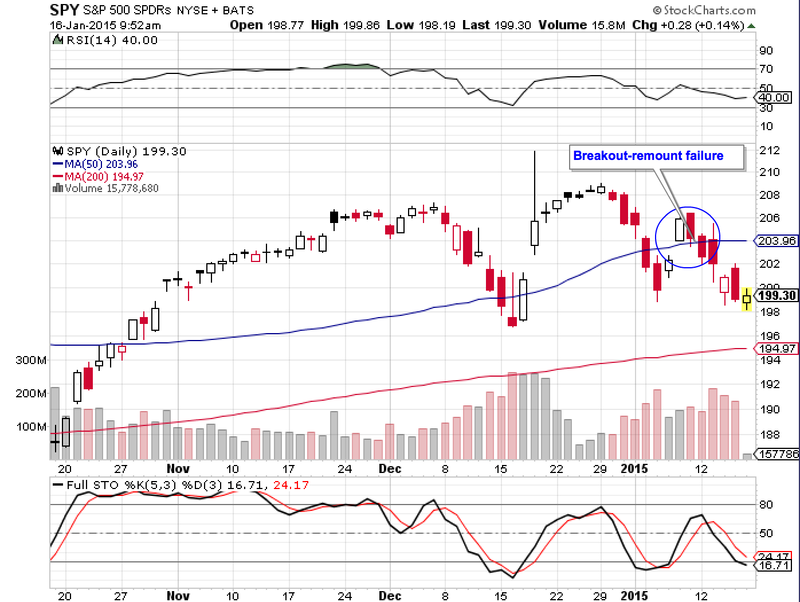 Notice in the chart above SPY has remounted the 50 dma, then two days later closed hard below it. Over at BullsonWallstreet, hat was our signal to get short. So far so good, with SPY continuing the breakdown toward the 200 day moving average. That is our target, where we will look to at least take partial profits. Hi Paul. On this setup where would you set your initial stop loss?